Rajendra Kumar Somany, octogenarian with a razor-sharp memory, loves to explain why he chose to pen down his memoirs. In the process he gives the listener a close up view of a shrewd yet warm Marwari businessman and family man. This article is a mix of his recounting and excerpts from the highly readable book. ‘Bringing the Rainbow–The Hindware Story’ (Rupa, 201 pgs) chronicles the life of Somany, the ups and downs in the personal as well as professional sphere, and takes the reader from time of setting up India’s first ceramic sanitaryware plant in (then) Punjab of the 1960s to the business conglomerate that it is today. ‘Rainbow’ is replete with personal anecdotes that would not only inspire present day leaders and management students, but would also serve as advice for budding entrepreneurs. In essence the book, part memoir and part business guide, is a firsthand account of the changing face of India’s industrialisation – the license raj, liberalisation of the economy in early 90s, etc – from the perspective of an entrepreneur who dreamt big and evolved into a giant. “It was in December 1959 when bhaiji (my elder brother Hiralall) asked me to go to Bahadurgarh and find a way out of the stalemate arising out of compensation to be paid to farmers for the land that we had purchased. The next morning I set off from Delhi in an old Morris Minor and drove myself along rutted mud roads, with my bones shaking with every rotation of the cars wheel,” he reminisces about the conditions of the then physical infrastructure. “As I was fretting, a rainbow appeared on the horizon and the drive suddenly turned beautiful; the chore became exciting. That was my moment of epiphany. The rainbow became my guiding mantra,” he exclaims, adding that ever since, whatever he has done as a businessperson, a father, husband, friend and a family man, he has asked himself, “Am I bringing the rainbow to this situation?” Any guesses why the book is so named? “My father died when I was barely seven years old,” shared Somany. The eldest of the Somany siblings, Hiralall, was for all practical purposes Somany’s foster father, guardian, mentor, guide and best friend, all rolled into one. Somany’s initiation into the world of commerce happened as soon as he finished schooling, and much before he started attending I.Com classes. 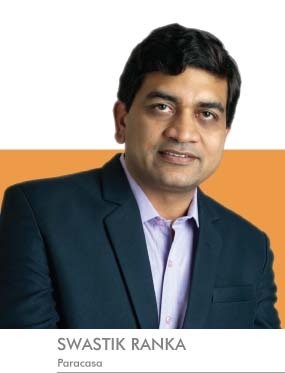 “I would report for work every morning at the office of our jute-trading firm Ram Prasad Murlidhar & Co, and patiently fill out pages after page of transactions, trying to understand the nuances of cash flow, receivables and profit.” In retrospect, Somany says he was unable to develop a liking for the jute-trading business. It was in 1957 that Somany, under the guidance of his elder brothers, started considering various options for entering into the manufacturing sector and zeroed in on sanitaryware. “We decided to foray into vitreous china, a new technology at that time,” he recollects, and settled for Twyfords Ltd, an English firm, as their partner. The necessity of a family member to visit England and train with Twyfords, for a few months, led to his entry into the ceramics industry. “I began training at Twyfords within a day or two of arriving at Stoke-on-Trent. The training was rigourous, thorough and often physically taxing,” he says. The first step was to learn how to make Plaster-of-Paris moulds for the saniatryware that was to be created. “It took me two months to learn this art.” This was followed by learning the art and science of glazing, working in the kilns, spending time in laboratories, and training in the slip and mill houses. The entire training lasted five-and-a-half months. “The experience gained and the lessons learnt were invaluable,” says Somany, adding that soon he was involved with the setting up and running of the newly incorporated Hindusthan Twyfords Ltd (later Hindustan Sanitaryware, and now HSIL). Having been associated with PHDCCI, Rotary, Luncheon Club, Jaycees, etc, Somany is of the opinion that even small institutional interventions can bring about a big change in the lives of individuals. “I noticed a group of women colleagues leaving the HSIL office after dusk,” he says, stressing upon the fact that this was around the same time as the infamous Nirbhaya case. While safety of employees outside office was not the company’s responsibility, Somany says that as a responsible corporate citizen he felt he must take a lead and do something about it. “I called the head-HR at HSIL and asked how many women worked at HSIL”. It later turned out that 57 of 180 staff members at the Gurgaon corporate office were women. Somany ensured that the company organised self defence training by hiring certified self-defence trainers to conduct such courses for HSIL’s women employees at the corporate office as well as at the plant in Bahadurgarh. Also, HSIL’s CSR corpus has been used to build many check dams in Rajasthan’s Alwar district to facilitate storage of rain water. Making its contributions towards the Swachh Bharat Abhiyan, HSIL has taken upon itself to build fifty toilets in Bhiwandi, Rajasthan. 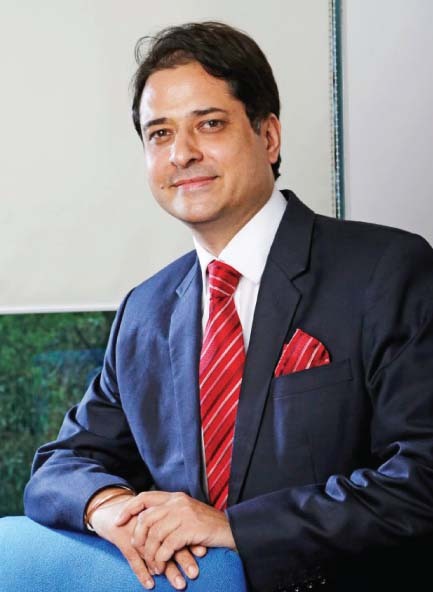 “J R D Tata and G D Birla have been my idols from an early age. 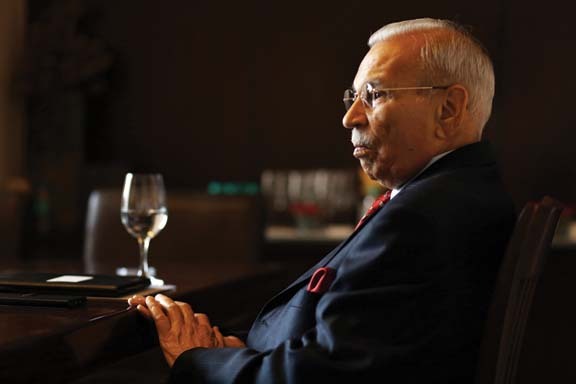 I have closely followed their careers and tried, in my own humble way, to emulate many of their habits and management techniques.” Amongst the contemporaries, Somanay holds Ratan N Tata and N R Narayanmurthy in very high esteem. Mahatma Gandhi is the first name, amongst many, from the non-business world that Somany considers his idol.